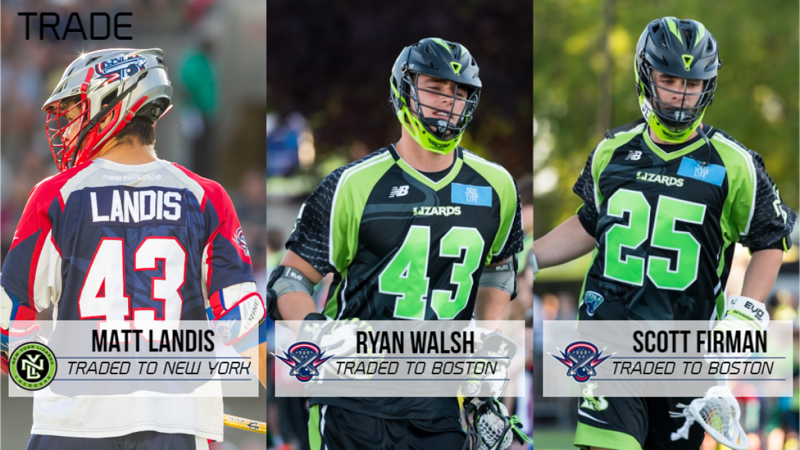 New York has acquired former #3 overall pick Matt Landis from the Boston Cannons for attackman Ryan Walsh, 2017 draftee Scott Firman, a long pole and the #5 overall pick in the Supplemental Draft coming up on Monday. Walsh, a Colgate grad, put up 6 goals and 3 assists in 10 games played last season while Firman only played one game for the Lizards after being the 43rd overall pick last year from Syracuse. Landis played 11 games for the Cannons and was credited with 40 ground balls and 14 caused turnovers. PrevDelray Lacrosse & Leadership Helps With Annual Heroes & Helpers Event!